Being the major financial centre, Madrid has the potential to generate a lot of employment opportunities. To help professionals in their career growth, KnowledgeHut is now providing Leading SAFe 4.5 course in Madrid. The course is perfectly modeled in a way to enhance one?s understanding of Scaled Agile Framework. Being the Registered Education Provider and the Silver Partner of the Scaled Agile Inc., KnowledgeHut is involved in providing quality training to the professionals. Our 2-day Instructor-led training on Leading SAFe 4.5 course in Madrid is focused on providing professionals with in-depth knowledge on Scaled Agile Framework. The entire course module contains knowledge required to become a Certified SAFe Agilist. The Leading SAFe 4.5 training in Madrid is majorly focused on teaching how to lead agile transformation within an enterprise using the Scaled Agile Framework and its underlying principles. The Leading SAFe 4.5 training in Madrid is also integrated with all the contents required for taking up the Scaled 4 Agilist Exam. Professionals with 5+ years experience in Software development, testing, business analysis, product or project management can take up this course. 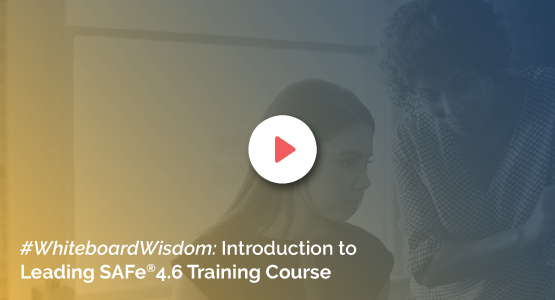 The course is officially authored by Scaled Academy and it is majorly intended for executives, development/QA/program managers, change agents (coaches).